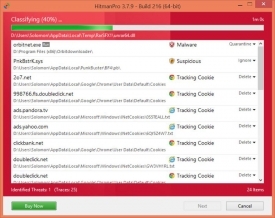 "Get rid of the viruses that your virus protection doesn't see with Hitman Pro 3." Tired of paying "an arm and a leg" for virus protection software only for your computer to still seem a bit sluggish, slow, or bogged down by something. It is possible that you have a virus. I know what you may be thinking, "How could I have a virus if I'm paying all of this money for the best protection there is." Well everyone makes mistakes. Virus protection software is created to scan your computer effectively and fast. This means that some things may get left behind or mistaken to be okay when they really pose a threat to your system; sometimes even the biggest threats can be overlooked. This is where Hitman Pro 3 steps in and saves the day. As your own personal "hit man," Hitman Pro will scout your system for those "left behind" threats on your system. Once it locates them, it will do what your antivirus advertises that it will do, remove the threats once and for all - at least until your virus protection allows them passed the "gates" again. Hitman Pro is very effective. In my testing, it found over 100 different threats to my system's stability and security. After entering my email for the trial, all of those threats were instantly removed. 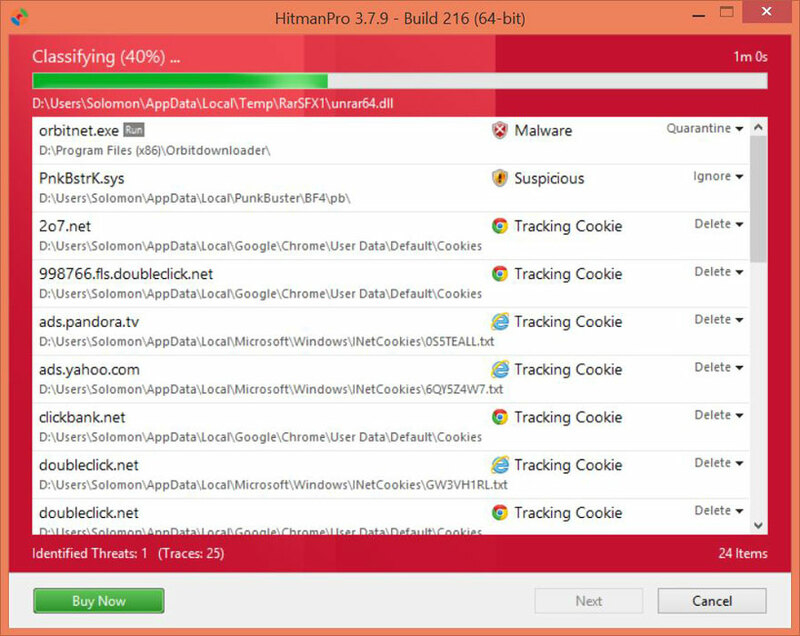 Hitman Pro 3 allows you to take advantage of it's threat removal tool absolutely free for 30 days. You can upgrade at anytime to take advantage of all of the other tools that Hitman Pro has to offer to help your system prevent and recover from a malicious attack. This is the 32bit version of the application. For the 64bit version, click the following link: Hitman Pro 3.